Valentine’s Day is almost here, and if you have a loved one (or just want to bask at home in singledom glory), chocolate is likely on the menu. But you don’t have to compromise you diet for the sake of love. 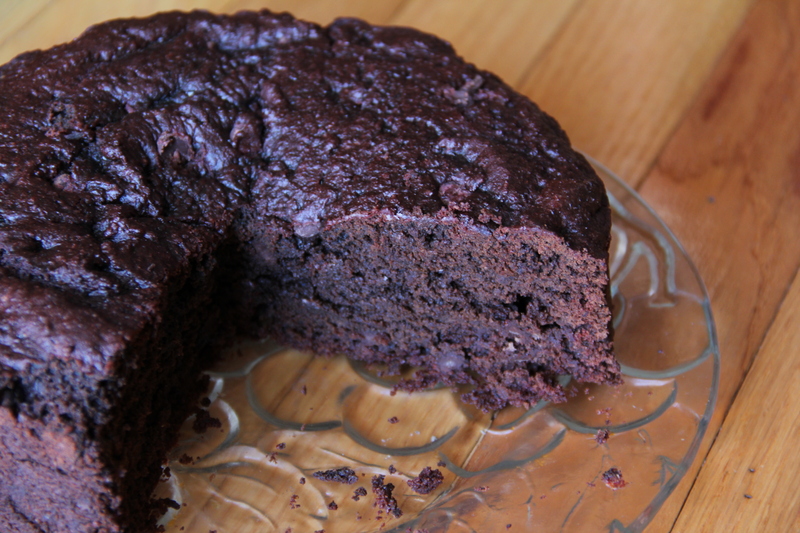 In fact, you can boost it with chocolate cake. Don’t believe me? 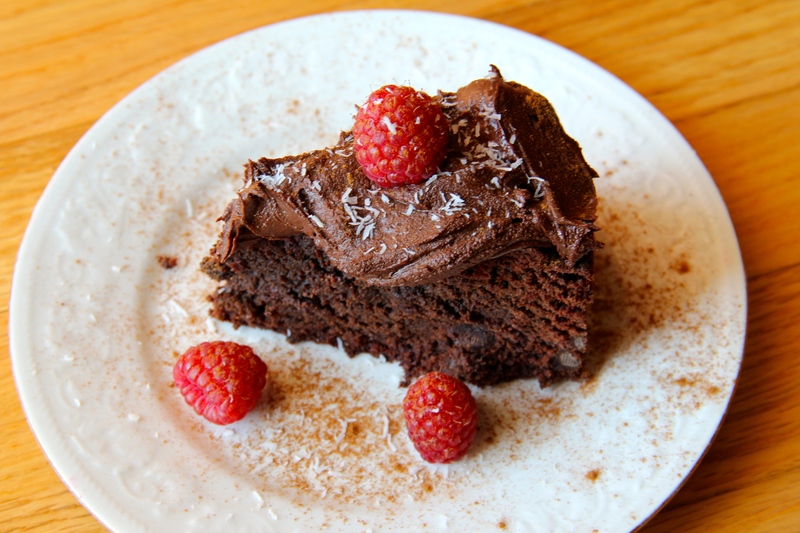 Try this chocolate cake recipe out for yourself and you’ll not only be taking in healthy protein and fiber but also a serving of vegetables. 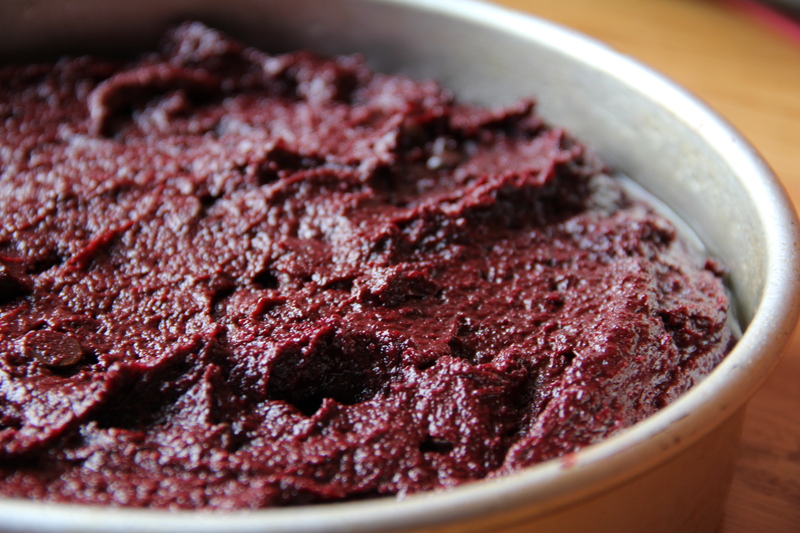 That’s right – this chocolate cake is enhanced by none other than roasted beets! Enjoy! Directions: Preheat the oven to 400 degrees Fahrenheit. Remove the beets from their stems, scrub them clean until running water, and then wrap each individually with aluminum foil. Place in the oven and bake for 1 hour or until the beets are tender through. 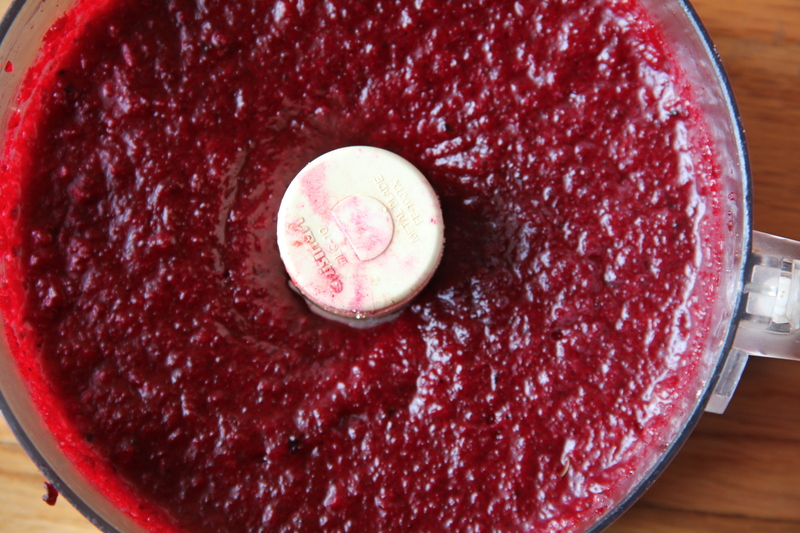 Remove the beets and reduce the oven temperature to 350 degrees Fahrenheit. 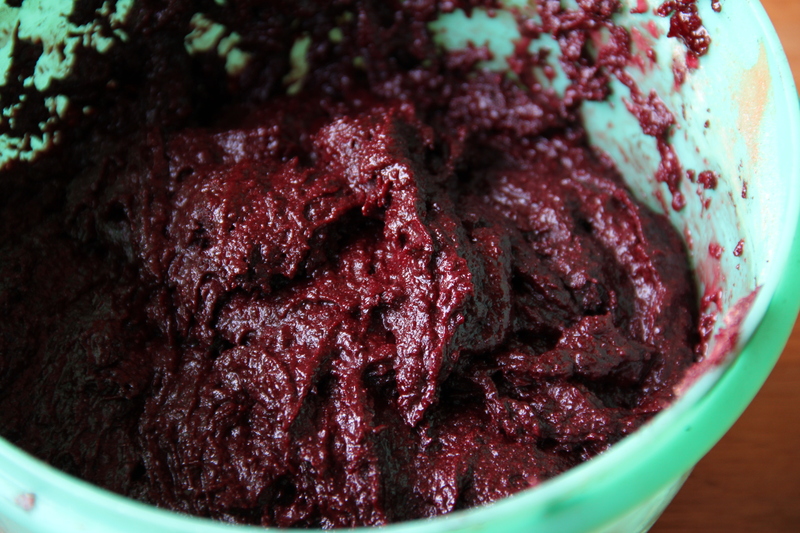 Transfer the beets to a food processor and add the water they formed in the aluminum foil while baking. Process until broken down. Add the vegetable oil, sugar, and vanilla. Pulse until smooth. 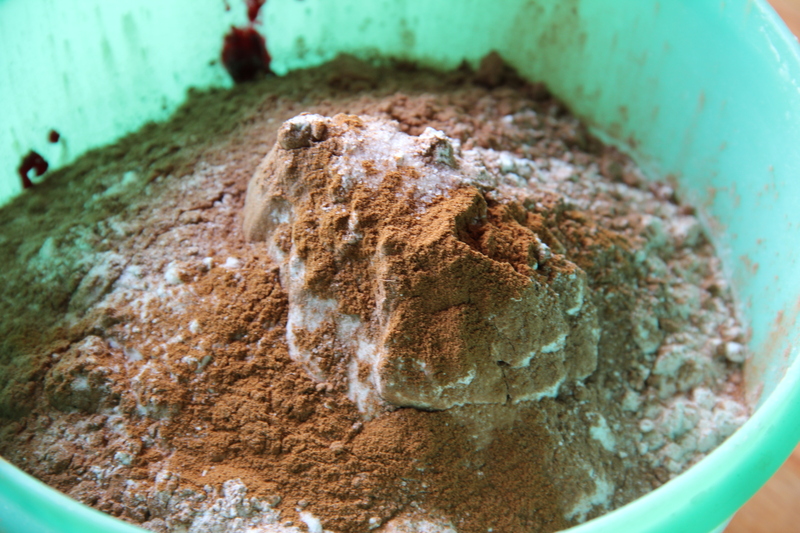 Transfer the mixture to a large bowl and add the flours, cocoa powder, baking powder, baking soda, salt, cinnamon and pepper. Lastly, fold the chocolate chips into the batter before pouring into a lightly greased 10-inch round baking pan. Place into the oven and bake for 35-40 minutes, or until the center has firmed. While the cake sits at room temperature, melt the coconut oil and chocolate chips over a double broiler until completely melted and mixed. Let sit off of the stove for a few minutes to harden slightly and become more “spreadable”. 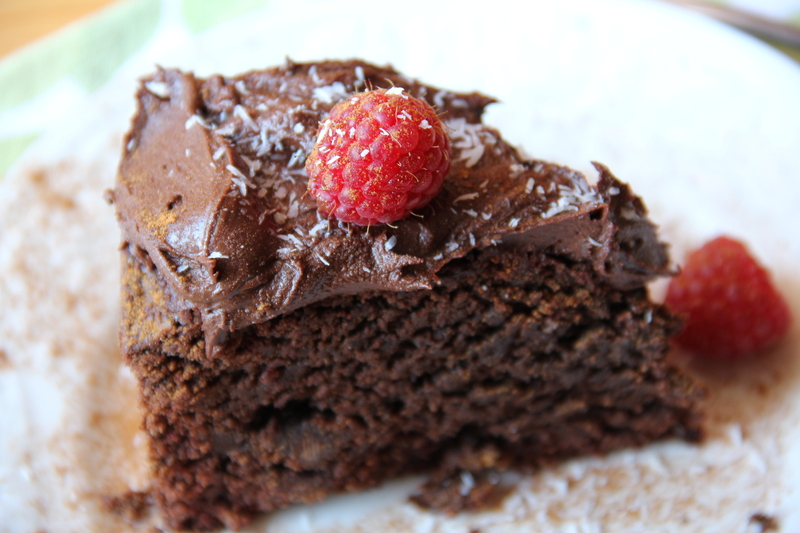 When serving each slice of cake, spoonful the mixture atop each slice before eating. This entry was tagged best desserts, chocolate cake, chocolate cake recipe, chocolate cake recipes, delicious desserts, dessert, dessert recipes, desserts, detox recipes, easy dessert recipes, easy desserts, easy healthy recipes, easy to make desserts, going vegan, good desserts, good vegetarian recipes, great vegetarian recipes, healthy, healthy breakfast recipes, healthy dessert recipes, healthy dinner recipes, healthy food recipes, healthy recipes, heart healthy recipes, how to become a vegetarian, quick dessert recipes, quick vegetarian recipes, recipes for desserts, simple dessert recipes, simple desserts, simple vegetarian recipes, vegan, vegan dessert, vegan dessert recipes, vegan desserts, vegan essentials, vegetarian, veggie recipes, what is a vegan, what is vegan. Bookmark the permalink.